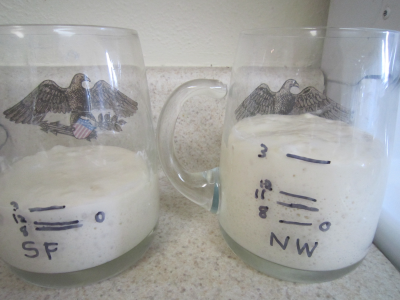 Tag Archives for " San Francisco Sourdough "
There has been an ongoing controversy over whether a starter culture that you obtain elsewhere, is taken over by, or reverts to, the local microorganisms after you have had it for a while. 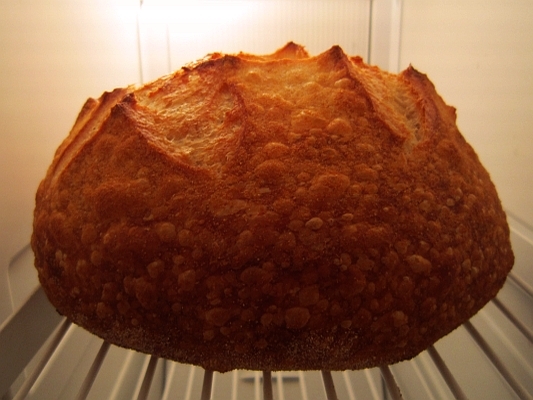 This is Summer Sourdough cooling off quickly in my freezer. I am sending it to a friend and want to cool it down and get it into the mail on the same day. Hopefully this experiment with sending bread in the mail will be successful. Since I am sending it to an understanding friend, he can always toss it in the compost heap if it arrives in sad shape! 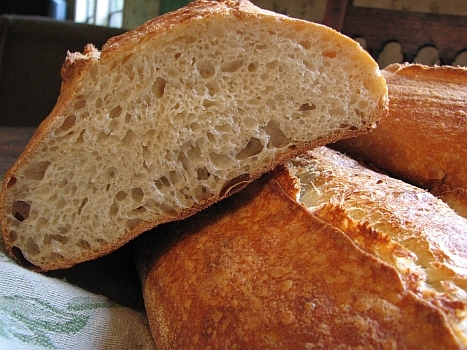 So You Want Your Sourdough…well…SOUR. I am at it again. 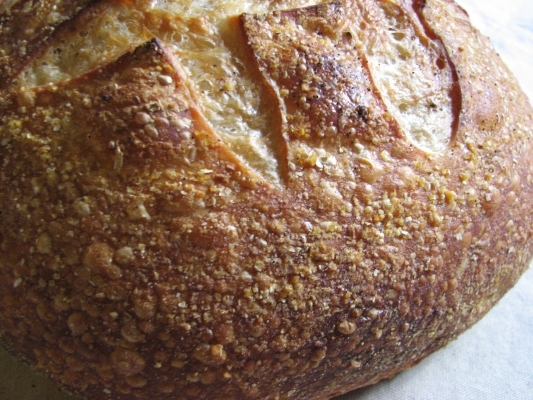 I wanted to go after the crust and the sour of the San Francisco Sourdough. I have come up with a new technique that I have been experimenting with for a while. However, I want to take a moment to thank Peter Reinhart for giving me assistance with the publishing aspect, just like he promised. A real pro and gentleman he is. Thankyou Peter! I also want to thank Randy Longacre who has so tirelessly read my manuscript as a newbie baker and professional writer. He has provided invaluable insight into problems and questions a newbie baker might have and has given me great advice.Thankyou Randy! I have two other proof readers who are non- bakers, they also taste test my bread, their names are Ann Davidson and Carol Stibbie. For their encouragement and efforts, I want to offer thanks. Thank you Ann and Carol! When testing is done on the recipes, I will list the testers and give them public thanks as well. Now onto SOURdough. 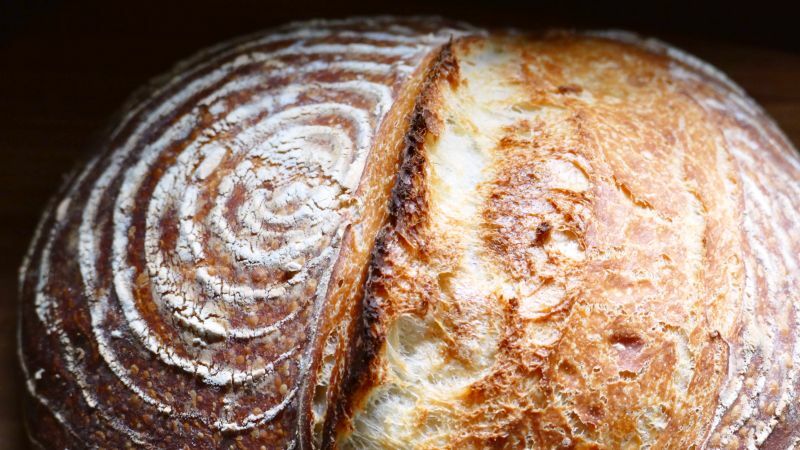 Why do we consider San Francisco Sourdough the Holy Grail of Sourdough Baking? 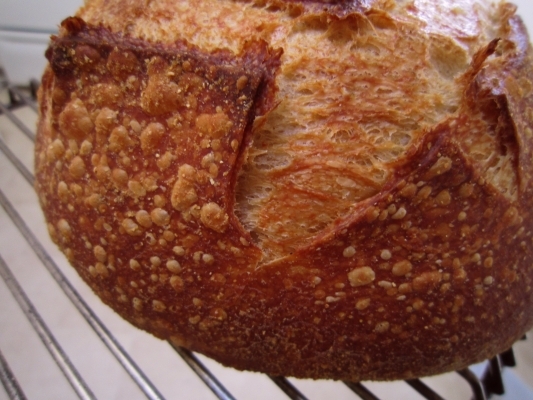 Well, I can finally say, “I did it!” after several years of varied experimentation with sourdough, I have finally achieved what I was aiming for. I really can’t believe it.